Need a good, NEW GY6 engine for your swap? This is a great engine to start with! This is a standard GY6 Long Case engine, and is compatible with not only our mounts, but pretty much every other aftermarket mount for a GY6 engine into a Honda Ruckus. Engine does NOT have any oil in it for shipping, but the engine DOES INCLUDE engine and gear oil in separate containers! 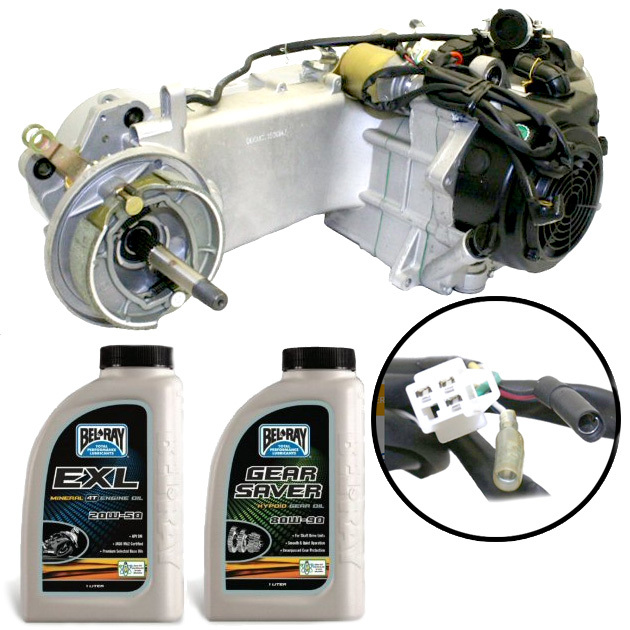 So be SURE to add the supplied engine and gear oil to your engine before using it! Comes with an 8-pole stator. 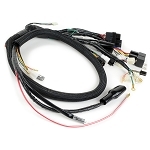 If you plan to use the Makoa Wiring Harness, you will need to select the 11-pole Stator Kit option with the wiring! This is a GY6 QMI/QMJ 152/157 Style Engine! We have a NO RETURN policy on all engines, except for manufacturing defects or shipping damage! Ruckus 'Modular Series' Billet Aluminum Motor Mount Kit GY6 & GET/Ruckus Engines!